You’ve looked forward to retiring for years. You had all these plans for a relaxing, fulfilled retirement. You were looking forward to having time to tend your garden, brush up on your culinary skills, and seeing your grandchildren on a regular basis. Maybe, you could even pick up that novel you’ve been meaning to read for ages. You couldn’t wait to get away from 9-5 office work. Yet, now that you’ve retired and left the workplace for good, you’ve discovered that retirement isn’t all that it’s cracked up to be. Maybe, you miss the satisfaction of receiving a paycheck every week. Or, perhaps, your spouse has yet to retire, and you feel guilty for not working anymore. Does this scenario sound familiar? If you’ve recently retired and miss the workplace, you’re not alone. According to a survey conducted by CareerBuilder, 60% of workers age 60 and older consider working after retiring. Whether you’re looking to pursue a new profession, or have a financial need, you should consider substitute teaching. Becoming a guest teacher gives you the flexible schedule you may have always craved in previous jobs, and also allows you to bring in additional income for peace of mind during retirement. Do you have a house project you’ve been meaning to finish? Or do you want to bring in a little more money so your spouse can retire earlier? Guest teaching allows you to boost your retirement income without having to return to work full time. You’ll bulk up your nest egg while still having time for family, friends, and all of the activities you love. It can be difficult to go from interacting with coworkers on a daily basis to spending so much time alone during retirement. You may have the occasional lunch with friends, or spend a day with your grandchildren here and there, but you still have long stretches of time where you may feel isolated. Substitute teaching keeps you socially active. If you’re craving social interaction, you can choose to work that week and benefit from the company of teachers. You’ll find individuals with similar interests, make friends at different schools, and establish a social network. For some retirees, visiting the beach or discovering a new hobby is enough to keep them feeling content and fulfilled during their golden years. But, for others, putting in hours and earning a paycheck gives them a sense of purpose. Their confidence and sense of identity may be tied to their job, and they may miss the challenge of completing a project or the satisfaction of reaching a career milestone. Guest teaching helps you regain a sense of purpose. Teaching will challenge you and keep you on your toes. You’ll be actively involved in the instruction and intellectual development of students. As you help students grasp difficult concepts and develop crucial skills, you’ll know that your effort and determination is making a difference. No retiree enjoys returning to work and answering to a younger boss. But, if you’re pursuing a new profession, you’ll need to start at the bottom and work your way up all over again. Unless, that is, you become a substitute teacher. As a substitute teacher, you’re your own boss. You’re not at the beck and call of a boss who wants you to be responsive and available at all times, even during the evenings or on weekends. You pick and choose your hours. If you decide to take a day off just because, no one asks questions. Gone are the days when you had to report to work every day at 8 o’clock on the dot. Substitute teaching gives you the freedom to make your own hours. If you want to work every day, you can. But, if you’d rather work 1-2 times a week, that’s entirely up to you. This flexible schedule enables you to find the ideal work/life balance. If you want to take a day off to bond with your family, you can. If you want to spend an entire week at your lake house, you can. When you have a say on when you work, waking up for work is no longer a chore, but an adventure. Guest teaching gives retirees the opportunity to reenter the workforce while still enjoying their retirement. You can make the most of your retirement but also put your skills to work. Substitute teaching with STS offers financial gains, flexibility, and socialization at no cost to your free time and relaxation. 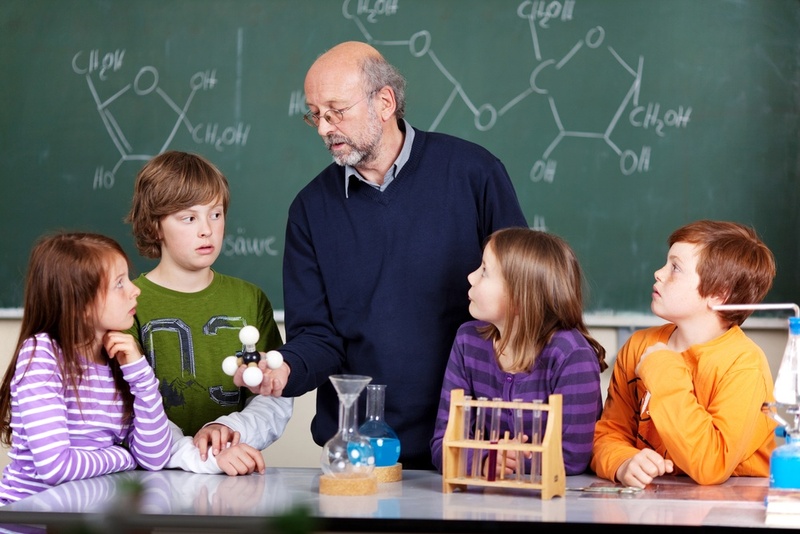 Want to learn more about becoming a substitute teacher? Contact us today.